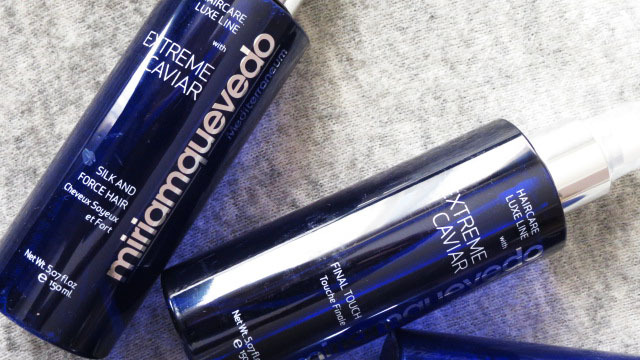 There’s a new kid on the haircare block, and she flew in straight from Spain. A while ago, I caught word about a hair scrub, and instantly, I was über curious. I just can’t help myself, I had a good hair routine going, and still, my inner beauty discovery addict took over and I had to give it a go! 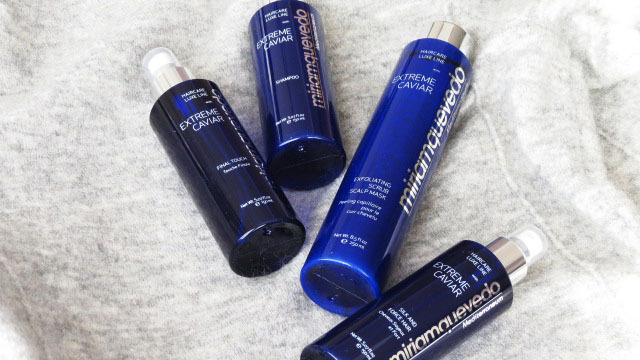 Miriam Quevedo is a hair care brand setting it’s first steps into the European market after having conquered it’s native Spain, and as a brand, they’re all about luxurious haircare without all that’s bad for your hair, such as mineral oils, parabens, phtalates and surfactants (to make shampoo’s lather). Back to the Exfoliating Scalp Mask, cause this bottle triggered this whole new brand obsession! A scrub for your scalp, in the disguise of a mask. Sounds a lot like skincare! If you suffer from itchiness, dandruft, a greasy or overly dry scalp, chances are that this is a caused by a scalp that is out of balance. An overdose of styling products, nor matter how good it makes your ‘do look, only makes things worse, meaning that no shampoo will right the wrongs on top of your head. A good, natural shampoo might be too mild to completely wash all the dirt away, and one that lathers up a storm probably is too harsh. So cue the scrub for your locks! Taking care of the exfoliation are the lactic acid, coral sand and ground Tahitian pearls (can you say luxury? ), after which the sebum levels can balance out again and the blood flow is stimulated. 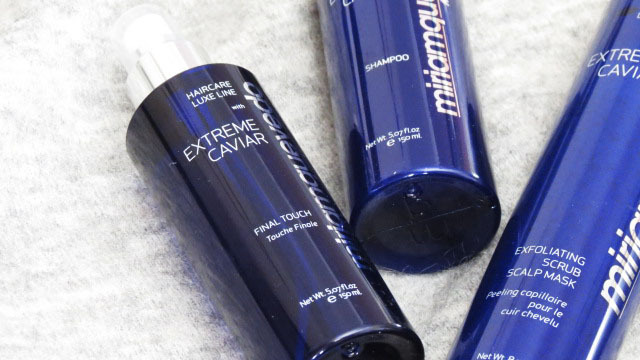 Healthy hair shaft = happy, shiny hair. 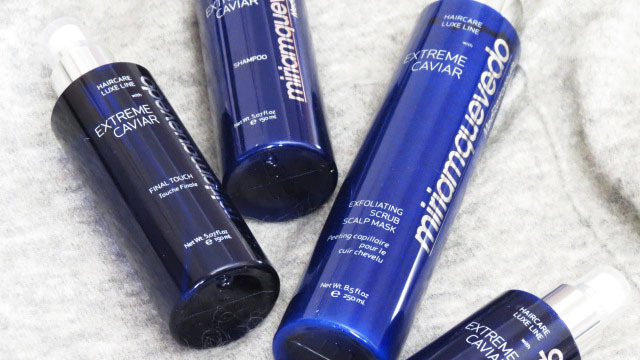 Additionally, the caviar in the scrub promises to hydrate and protect the scalp, whilst a boosting cocktail of botanical extracts breathes life back into those locks that might look a bit too dull for their own good. Sounds to good to be true right? I wasn’t sure what to expect either, so straight into my bathroom to test it went!